Doris Day and Rock Hudson at their best! One of my favorites from a string of greats the pair did. Today we will touch on hubby's maternal line again, the Rotge's. Louisiana. He died on 15 Jul 1956 in San Antonio, Bexar, Texas. Texas. She died on 26 Sep 1932. Peter ROTGE and Lillie Mae Surber were married on 15 Nov 1902. 24. Jean Rotge was born on 24 Dec 1829 in Paris, France. He died on 06 Jul 1887 in Goliad, Texas. in Paris, France. She died on 25 Sep 1917 in Goliad, Texas. For those that remember Granny [Irene Caroline Banet Dreher: 1906-1989], you will recall what a great cook she was! This is a recipe she mailed to me as a newlywed in 1975. 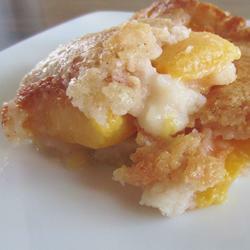 It works great with any fresh fruit you choose to add: apples, pears, peaches, berries. I have also used canned fruit [simply drain first], and pie filling when I had nothing else. Serve this hot with vanilla ice-cream. Your family will love it! 1. Preheat oven to 325 degrees F (165 degrees C). Melt butter in a 9 x 13 inch baking dish. 2. Blend together flour, baking powder, sugar, and milk. 3. Pour batter in baking dish over the butter. Sprinkle fruit on top of the batter, do not stir. Bake for 1 hour or until golden brown. Did you guess correctly from yesterday's photo where this was taken at? 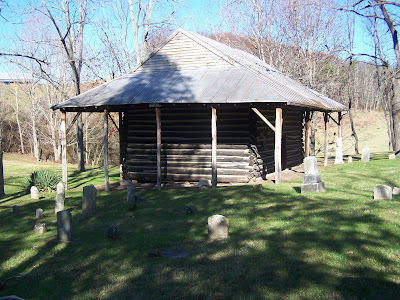 This photo was taken at The Old Rehoboth Church, [the oldest church west of the Eastern Divide] in Keenan, Monroe County, West Virginia. 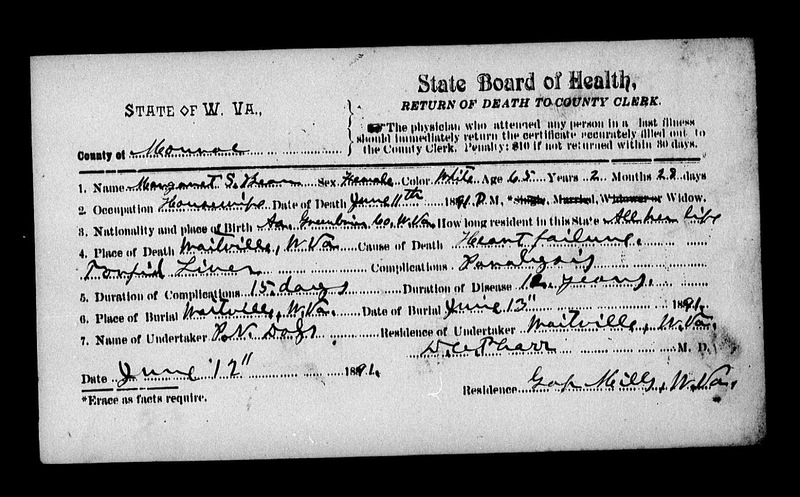 It is here that my great-great grandparents, and my great-great-great grandparents are buried. Take a guess as to where the photo below was taken at, and leave your guess in the comments below. Check back tomorrow for the correct answer! Margaret Smith Perkins Bean was born 03 Mar 1826 to Rev. Samuel Perkins [1778-1854] and Elizabeth Tuckwiller [1779-1867]. 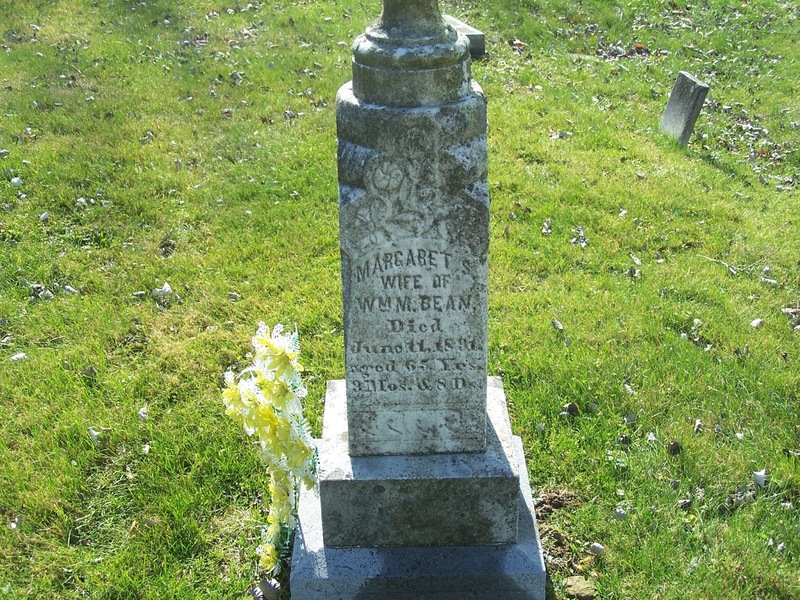 She married William McHarvey Bean [1832-1890] in 1852. 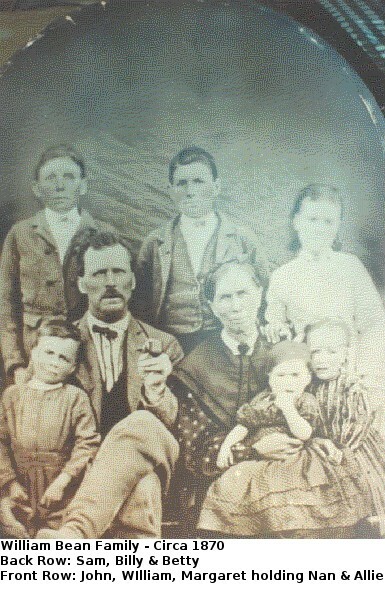 SHe was the mother of 8 children, including my grandfather, John Monroe Bean [1866-1954]. 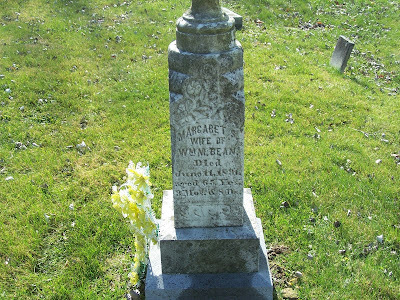 She is buried at New Zion Union CHurch Cemetery in Waiteville, Monroe, West Virginia. Name of Undertaker P.N. Doss Residence of Undertaker Waiteville, W.Va. 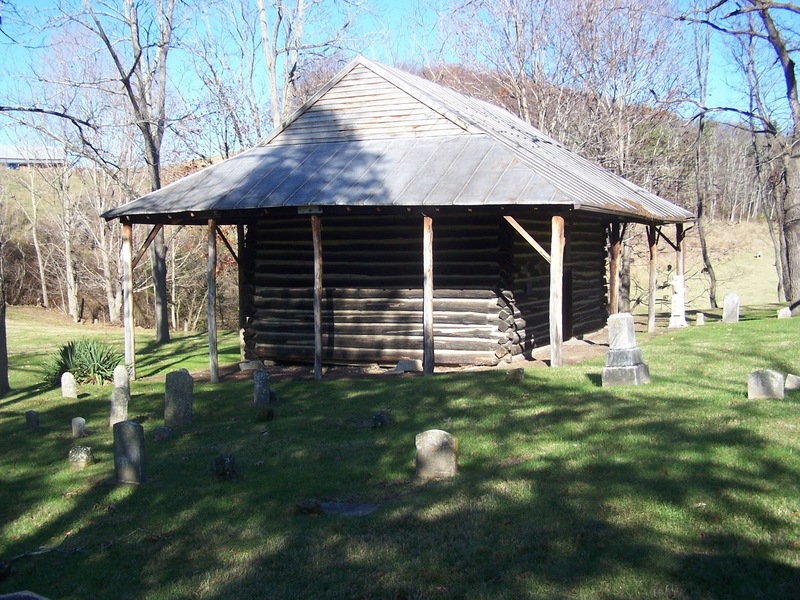 Date June 12 1891 Residence Gap Mills, W.Va.
Margaret is buried at New Zion Union Church cemetery at Waiteville, Monroe County, West Virginia. When I was a little girl, my mother used to sing this to me. I found it so comforting. It would dry my tears faster than anything else! I used to sing it to my own children when they were little. Today, I still find this song comforting! Gotta love this clip from Easy Rider! I had such a crush on Dennis Hopper!